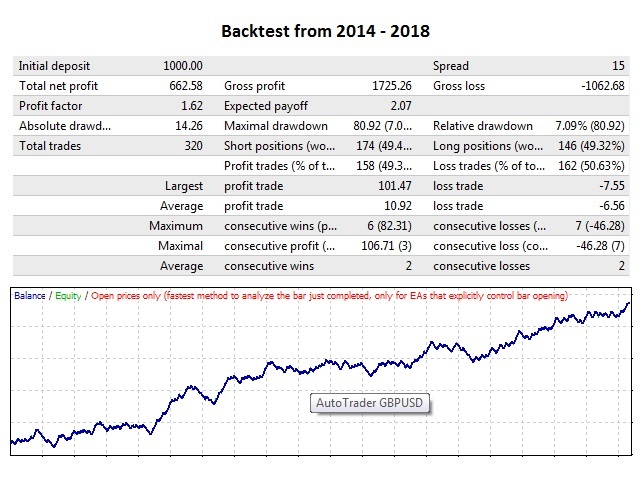 AutoTrader GBPUSD is a fully automated Expert Advisor. Use M1 "Open Price Only" for testing and optimizations as this is the only reliable method for EA testing and tuning. I will be thankful for your positive reviews and ratings!